Kyrie - Gloria - Credo - Sanctus - Benedictus - Agnus Dei - Agnus Dei II. This edition is at original pitch for A.A.T.T.B. (expanded to A.A.T.T.T.T.B.B. in Agnus Dei II). Pub. Rome, 1582. A parody mass modelled quite loosely on Janequin's popular chanson "La Bataille" [de Marignan]. 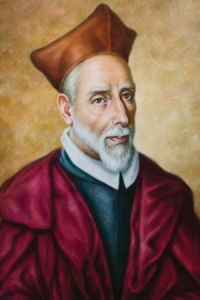 Composer: Francisco Guerrero (1528 - 1599)Forces: A.A.T.T.B.Kyrie - Gloria - Credo - Sanctus - Benedictus - Agnus Dei - Agnus Dei II. This edition is at original pitch for A.A.T.T.B. (expanded to A.A.T.T.T.T.B.B. in Agnus Dei II). Pub. 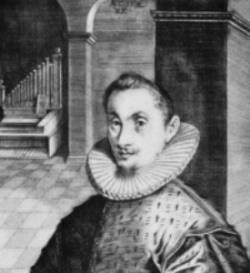 Rome, 1582.